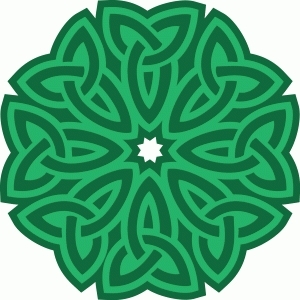 Celtic triad arranged in a flower shape. Lacy top layer can be used alone or with base. Suitable for enlargement.